The CZ-82 is excellent for concealed carry and self defense, as you’re aware. Having once been used by the Czech police and military, it’s now one of the hottest, and least-expensive, secondary-market guns in America. Being a little on the heavier side for its small stature, though, you’re no doubt looking for a reliable Cz 82 holster. While there are a few options out there to choose from, it can be difficult to find a perfect fit for this type of firearm. While there are multiple options, I’ve found after much searching that the Hybrid Kydex Inside Waistband IWB Concealed Carry Holster for the CZ-82 is perfect. It’s not only a quality holster, but it’s also meant for this model. However, that does not mean there aren’t other options available. That’s why I’d like to show you a few of my top picks specifically for the CZ-82. First, however, let’s talk a bit about how exactly you plan to use your firearm in order to figure out the best holster option for you. As was mentioned above, and as I’m sure you know, the CZ-82 is a compact weapon, making it a perfect choice for concealed carry. It is known for its surprising blowback action and interesting European history. With this, however, comes a few ounces of extra weight. While you may be searching for a sturdy holster that can handle its excess weight and ultimately leave it undetectable, there are other details to consider before you settle. If you plan to buy a holster that will rest at your hip, you won’t want your sidearm to tug your trousers down. If you end up choosing a belt clip or slide holster, chances are your everyday belt won’t do the trick. 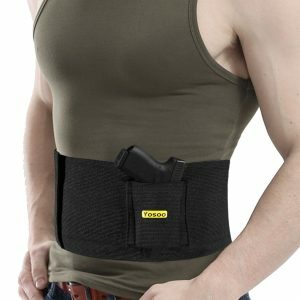 A sturdy gun belt will aid your holster, making it seem as if your firearm is weightless. There are a variety of types of gun belts, ranging in style such as leather and tactical. While most are size-adjustable, you’ll want to make sure you pick one that will fit snug enough to keep your gun and holster secure, as well as consider whether this will be for concealed or open carry. If you plan to use your CZ-82 for concealed carry, and especially if this is your first time carrying, one thing to consider is that it won’t be comfortable right of the bat. While gear and accessories, such as holsters, are manufactured to be as convenient as possible, your firearm is not without unusual curves that aren’t so natural. Right along with a good holster, your wardrobe plays another important part in the concealment of your weapon. If all you have are tight-fitting muscle T’s, chances are you might need to get a few new garments. 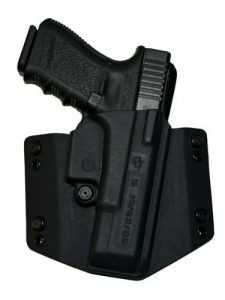 For most concealed carriers, an IWB holster is ideal since it rests on the inside of a waistband. This does not mean you are free of wardrobe complications, though, and should still consider your outfit accordingly. When buying a holster, retention is a very important component. You want just the right balance of retention, or you won’t be satisfied. Having too much of it will prevent you from having quick-access to your gun, while having too little will leave it insecure and accessible to anyone around you. What is the level of retention and reaction for the holster you’re looking at? Is it passive, or is it active? You’ll want to keep these in mind when choosing. Before you pick your holster, depending on the style you’ve chosen, you’ll want to make sure you’ve picked the correct draw side. Typically, IWB holsters are side-specific. If you’re looking at one of these, be careful to pay close attention when purchasing! It’s a known fact that men and women have different forms, garments, and needs. Depending on whether you’re male or female, there are a variety of holster types made specifically to suit you. While there are types that are made for a specific gender, they are also manufactured for targeted functionality. For the woman going out for a night, they have belly bands and flashbangs, both of which are meant to conceal a firearm beneath less-conspicuous clothing. Last, though certainly not least, you’ll want to consider the price and quality of what you’re buying. You don’t have to spend a lot to be guaranteed a good holster, but you should be willing to consider the difference between a chunk of plastic and quality materials. Three components go into a bargain deal, and those are price, quality, and speed. While real leather might look nice, it’ll cost you a fortune more. Synthetic materials have come a long way, making it easier to buy good-quality products while not having to spend too much. Speed, of course, is about the ability to draw your weapon. By settling for something poorer than desired, you might also be compromising the functionality of your holster. Now, having talked about some of the various things to consider when buying a holster, let’s take a look at a few different options for the CZ-82. While there are many choices available out there, these are some of the top ones I was able to come up with. Let’s look at the features of each of them. 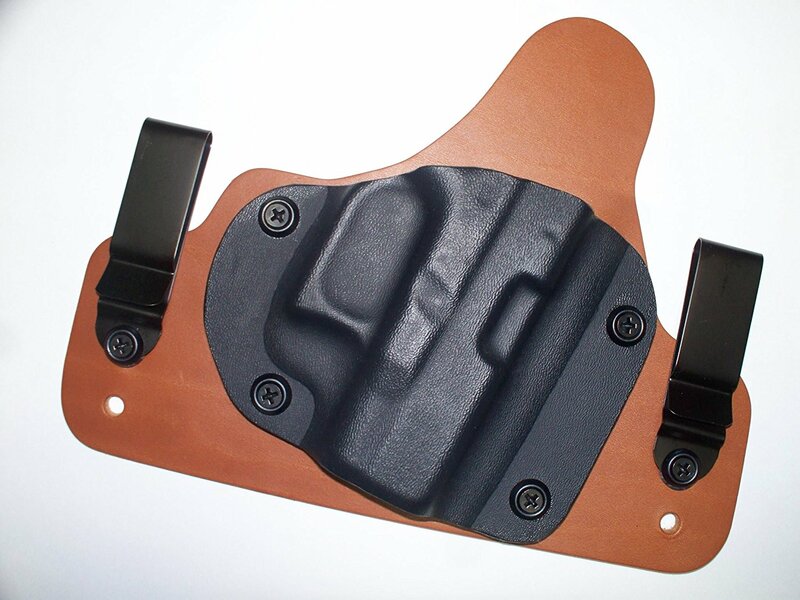 This holster is for under the waistband, and is made of vegetable-tanned cowhide so it won’t damage your guns finish. It is made for quick draw, and the back of it is smooth in order to provide comfort for resting against your skin. In fact, they manufactured it so specifically for comfort, it’s supposed to seem as if it’s not even there. 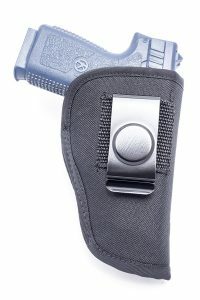 This L Style holster is made with a clip to allow it to function as either open or concealed carry. The clip is removable, and the inner lining is gentle and soft. It’s also made for quick and easy draw. This holster offers innovative clips with your purchase. These clips are suited for a diverse amount of needs, and along with this feature you’re getting convertible carry and quick-draw ability. The Belly Band is one of the most versatile and comfortable concealed carry holsters. This innovative piece is great for under a variety of garments, all the while retaining comfort. pocket for important papers, cash, credit cards, and cellphone. Due to how difficult it is find a holster for the CZ-82, the Hybrid Kydex Inside Waistband IWB Concealed Carry Holster for CZ 82 is the best fit in my opinion. It is molded well to the shape of the gun, made for durability and comfort, and it comes at a decent price. This is an IWB inside-the-waistband Custom molded to fit your CZ 82 semi-auto pistol. The holster is made from 9-10 oz vegetable tanned cowhide leather that will not harm your guns finish like chrome tanned leather will. Whether it’s hot or cold out, the material won’t irritate your skin, and it looks appealing as well. Though it may take a week or two to break in the leather, it’s worth it for the practically unnoticeable comfort it gives once the material has molded to your body. For a decent price, you’re getting exactly what you need in a reliable IWB that will last your entire life, and has a lifetime warranty that is an added bonus. We hope this provided you with valuable information, and helped you to come to a conclusion on the right holster for your CZ-82. Leave us a comment to tell us what you think, or to let us know of any other holsters you might find reliable for this firearm! If you want a truly awesome holster of various configurations contact Rudy Lozano of Blackhills Gun Leather out of Laredo, Texas………they HANDMAKE every holster using the wet moulding process and trust me, NOBODY makes a better holster and you will be AMAZED at the prices. I have had them make holsters for a variety of guns from my CZ83, my SARK245, various Ruger revolvers, Glocks……I have about 10 of their holsters and love EVERY ONE. When you receive the holster they will require a break in period. This can be hurried somewhat by wrapping your pistol in plastic, liberally applying neetsfood oil to the holster then holstering the wrapped (and empty of course), pistol into a warm turned off oven and just letting it sit overnight. OR you can simply practice drawing and redrawing numerous times until you get the PERFECT fit. WARNING: These holsters will last longer than 3 human life spans and only get better with age! !